Want to check out Westlake? 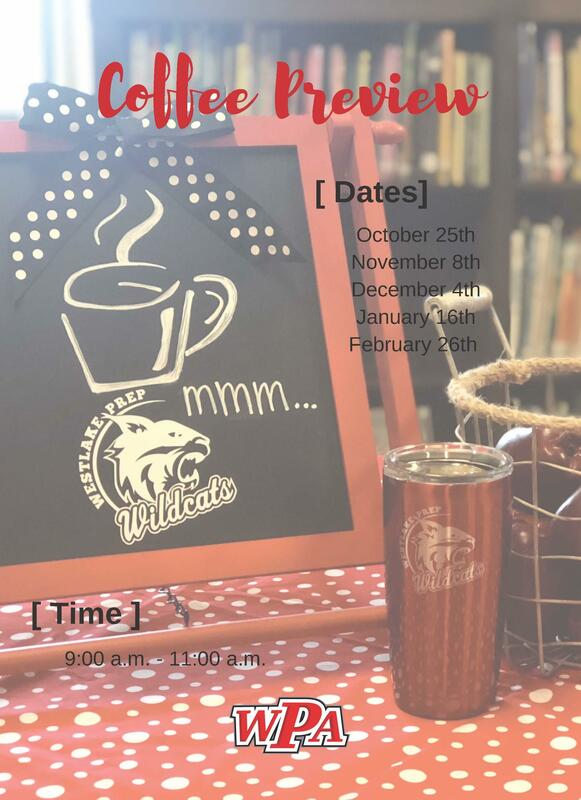 Join us October 25, November 8, December 4, January 16 and February 26 at 9:00 a.m. for coffee and fellowship and stay for a brief presentation with a tour of our school in action! Our Preview Coffee is designed to give parents the opportunity to see what Westlake can offer while their students are at school. Join us at 9:00 a.m. for coffee and fellowship. Stay for a brief presentation and a tour of our facility in action. Some of our current parents will also be available during this time to give a "Parent's Perspective." If you have any additional questions, please contact Venessa Homewood, Director of Admissions 281-341-9910.